Another fine example of Starlingear craftsmanship and innovation: the Starlingear marbles are all hand made and no two are exactly the same. 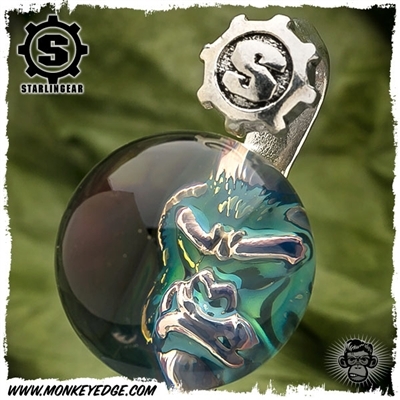 The angry Primate design ghosted in 3D to this hand blown glass marble. 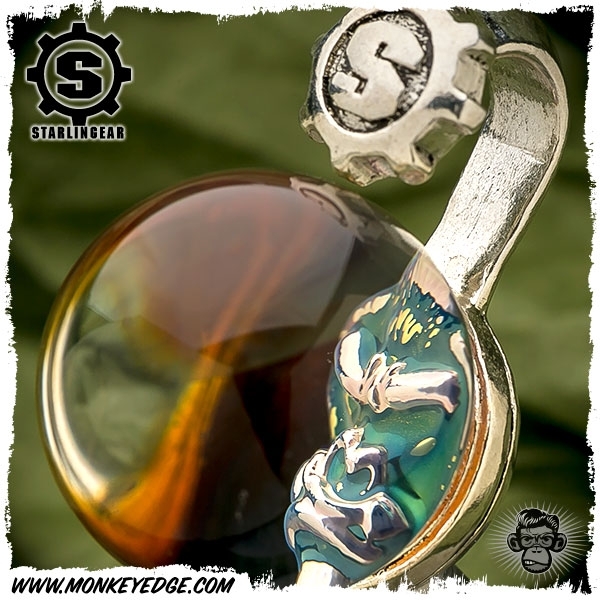 Attached to a sterling silver S-Gear hanger. Add to a chain for a necklace or hang for display.